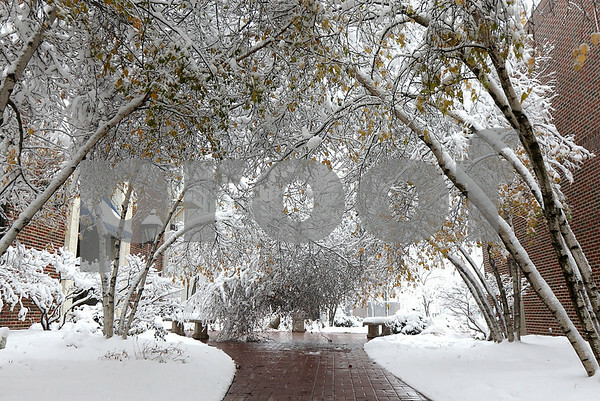 Trees hang low from heavy snow in a walkway next to National Bank & Trust Company in Sycamore during continued snowfall on Saturday, November 21, 2015. The county received upwards of 3.5 to 8.2 inches of snow overnight Friday, according to the National Weather Service in Chicago. Snow measurements are as of 7 a.m. Saturday.